Wrapped in verdant pastures and surrounded by majestic rocks and brightly coloured meadows, the hamlet of Taveyanne should be on everybody’s itinerary. Admire the ordered rows of rustic timber chalets and watch as life goes on in rhythm with the seasons in this traditional alpage. Taveyanne is truly the jewel in the crown for the people of Gryon. 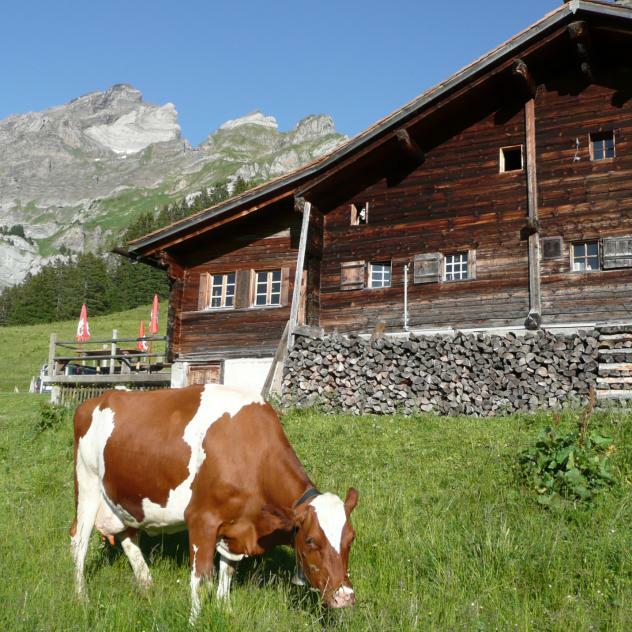 To guarantee the long-term future of the hamlet and its environment, the local people agreed in 1970 to establish a nature reserve jointly with the nature protection association of the canton of Vaud. Come and discover this enchanted place during its legendary mid-summer festival. Each year, this convivial pastoral festival is celebrated in a traditional style on the green pastures of Taveyanne. During the summer months, the Taveyanne refuge will welcome you for a delicious meal composed of local specialities, and you can even spend a restful night there.